Originally a mining camp, Aspen has completely transformed from a remote rough and tumble mining town to a luxury retreat for the rich and famous. Made popular in the late half of the 20th century by the development of ski culture and famous residents like John Denver and Hunter S. Thompson, Aspen has always had the ability to draw an interesting crowd. Aspen today is host to numerous high profile festivals and sporting events and invites a crowd that enjoys the finer things in life. Whether it’s world-class dining and shopping, excellent ski and snowboarding conditions, or celebrity attended events like the Food & Wine Classic, USA Pro Cycling Challenge, or the X Games, Aspen’s luxury vacation homes offer the best of the best in a setting that is breathtakingly beautiful. Nestled in between 2 mountain ranges, opportunities for winter sports are nearly endless. Within 9 miles of downtown Aspen you will find 4 mountains frequently dusted with fresh powder and awaiting your skis, snowboard, snowmobiles, snowshoes, cross country skis, and more. With all of the cold weather sports, you may be surprised to learn that Aspen has just as much going on in the warmer months as it does during the winter. With ski mountains that turn into mountain biking and hiking trails, annual festivals celebrating music, gourmet food and wine, as well as theater productions and lectures, you won’t find a ghost town just because the snow has melted. Just as lively as the outdoor adventure scene, the dining and shopping that Aspen offers cannot be beat. For a town with a relatively small footprint, the dining options are impressive and rival those found in metropolitan areas. After all, when you’re catering to those that frequently find themselves in Forbes or People magazines, expectations are high. From ultra-gourmet French to chic Asian fusion and everything in between, Aspen’s sheer number of enticing restaurants does not disappoint. For those hoping to freshen up their wardrobe, Aspen is happy to indulge. With designer boutiques like Fendi and Prada to outdoor gear emporiums and thrift stores that are more like a celebrity’s forgotten closet, you will easily find whatever it is that you’re looking for, and probably a few things you didn’t know you needed as well! Aspen is a vibrant town with much to do and see, making it a wonderful place to explore no matter what time of year you visit. 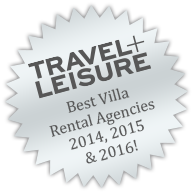 Contact us today to help you find the most luxurious vacation rentals Aspen has to offer. Let us grant you access to Aspen’s premier, members-only, private club – a club that is so “ush-ush” there is no name on the door. Champagne brunch after a balloon ride around town? Yes we can. Why wait in line? Let us arrange for ski butlers who deliver all your equipment to your luxury vacation home. Outdoor endeavors often leave us sore and in need of pampering. Whether you prefer an onsite massage or pampering at the spa, let us handle the details. Summer high 90, low 40. Winter high 35, low 10. As a person climbs to higher elevations the air becomes thinner. In Aspen the amount of oxygen in the air is 30 percent less than that of sea level and the humidity is 50 percent less. Most visitors can expect some degree of change in their bodies. Symptoms range from restlessness, to shortness of breath, coughing, dizziness, headaches and increases in heart rate. To avoid the symptoms make sure you are well rested prior to arriving. On arrival in the valley, rest appropriately and don’t overexert yourself. Avoid alcohol and caffeine and increase your water intake by 50 percent. Aspen is in the Mountain Standard Time Zone and practices Daylight Saving Time.